Usually, when you pick up a series, you get a recap at the beginning explaining what’s been happening so far. 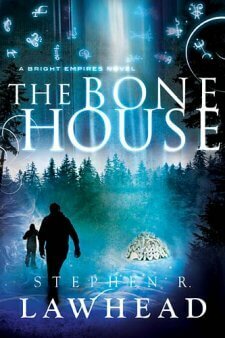 The Bone House by Stephen Lawhead gives us no such aid. Overall, this book left me extremely confused, and largely biased against ever picking up the series again. I’d heard positive things about the first book in the series, The Skin Map, so I decided to give this one a try (ITB’s review of The Skin Map can be found here). I shouldn’t have wasted my time. The story tells of Kit Livingstone, who is searching for the pieces of the Skin Map, an old map tattooed on human skin. It was created by Arthur Flinders-Petrie, who discovered ley lines: interdimensional travel lines invisibly mapped all over the earth which can take you to other parallel universes. Kit is accompanied by his girlfriend, Mina, but they’re not the only ones trying to find the map. Arthur’s great-grandson is also looking for the map, as is an evil baron who’s already killed Kit’s great-grandpa. The complex storyline made it hard for me to follow the story, however, in addition to the reasons below. I’m a pessimist, but let’s start with the good in the book. Lawhead’s sentence-level writing is extremely good – he clearly knows his stuff when it comes to putting words together into lines. His description of the cavemen is sheer genius: something I definitely wish I could have written myself. Overall, I was impressed with the power his individual words. His problem, though, was with the slightly bigger elements of writing. You know: stuff like plot and characters. Perhaps you’ve heard of them. Lawhead plunks us right in the middle of a story without so much as a by-your-leave. It took me just about to the end of the book to even figure out what was happening and who was who. Even more of a crime, he introduces us to at least half-a-dozen characters without so much as telling us why they’re important. This jumping around, though it eventually settled down to two main characters, left me unattached to any of them. That’s a big problem for a writer. Worse yet, this makes the story disjointed – coupled with the fact that I was plopped down in the middle of a series without knowing what was going on, it was all I could do to slog through the whole book. The seemingly complex storyline didn’t help matters. When I got this book off of BookSneeze, I didn’t even know it was part of a series. Still, I should have been able to pick myself up and follow things. The fact that I wasn’t able to left me never wanting to touch the series with a ten-foot pole. I’m also required to write a review on the book, which is why this mostly unhelpful review is being posted. If you’re a Lawhead fan and you’ve read the first book, give this one a try. I think you should’ve sent the book to the person who reviewed the first book so they could review it in context. I know you’re under contract, but this review just isn’t doing much :/. I would pass the book along, but I’m not allowed per BookSneeze’s requirements. I’m sorry you didn’t enjoy it, especially since you hadn’t read the first one. I really enjoyed The Skin Map, and I was looking forward to reading the sequel. Generally I would never touch a book that came somewhere in a series because, as you have found, they may not give you a rundown of what was in the first book. Maybe the book would have been better if you had had the opportunity to read the first one first. Actually, in the copy I received, there is an introduction that reminds you where we last left our heroes (and villains :P). I, for one, appreciated not having to wade through thirty pages of recap, like others, rather than the quick several pages to remind me where we are. And, yes, reading the first one will definitely help :). I should point out that I’ve been a fan of Lawhead’s since the mid-80s, so you could say I’m a tad biased toward his writing style ;). Andrew, Booksneeze actually does allow you to give books away. 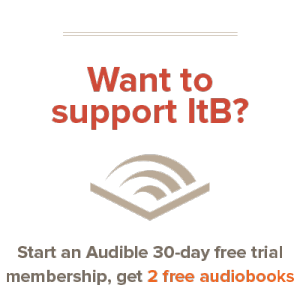 In their FAQ section they say they don’t mind if you give the book to someone or give it away on your blog. Also, Booksneeze has usually been pretty good about noting when a book is the second in a series – especially when it is vitally important to the story. They probably had some sort of glitch. I purchased my copy from Amazon, and it did have a recap, so Booksneeze might’ve had a special print they distributed.